A responsive and efficient 1.4L turbocharged ECOTEC® engine provides Trax with agile performance perfect for exploring urban landscapes. And when you need it, an available AWD system is there to provide extra traction and maneuverability. Trax offers an Impressive EPA-estimated 30 MPG highway and 24 MPG city. Standard Variable Valve Timing helps to improve fuel economy. 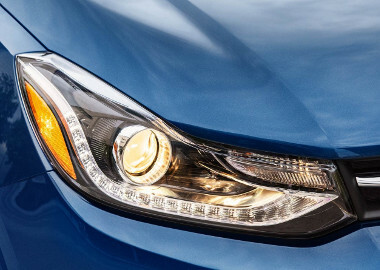 A chromeaccented dual-port grille with a sweeping headlamp design makes a memorable first impression. 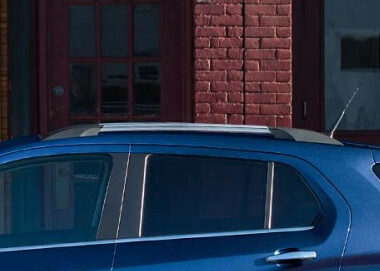 The rearward-swept roofline is accentuated with bright-finished roof rack rails, standard on LT and Premier. Trax offers technologies designed to simplify your life. Make hands-free phone calls and stream your music with Chevrolet MyLink, or send texts and check your calendar using Siri Eyes Free. And wherever your adventures take you, you’ll always be connected with an available 4G LTE Wi-Fi® hotspot. Ever had to move something, but couldn’t get it in your vehicle? Trax offers plenty of cargo space. There’s 48.4 cu. ft.1 of cargo room with the rear seats folded down and even more cargo space with the fold-flat front passenger seat — large enough to carry items up to eight feet long. Just download the myChevrolet Mobile App3 to your compatible smartphone to start/turn off your Trax (if properly equipped), lock/unlock your vehicle’s doors, send destinations to your available OnStar® Turn-by-Turn Navigation, 4 view key vehicle diagnostic information, set parking reminders and more. The 2016 Trax offers advanced safety features to help prevent and protect you from a potential collision, and available OnStar® technology to respond in the event of one.